THE nephew of trade unionist Rosie Hackett has said she would be ‘giggling quietly to herself’ if she knew that Dublin’s newest bridge had been named in her honour. “I’d say she’d be giggling quietly to herself, she would be slightly embarrassed about it, but she’s also be very proud to know that women have come to where they are in Dublin at this stage” he told Morning Ireland. He said his family is proud of role Hackett played in advancing women’s rights in Ireland. “Obviously there’s a great sense of pride absolutely, but this is about Rosie, what she did and what she stood for and women like her. “I looked at the Dublin City Council meeting last night and the amount of women that are on the council and I thought to myself but for the likes of Rosie and women like her, perhaps there wouldn’t be so many women involved in high profile positions like that. He also said Rosie would be back out on the streets if she were around to witness Ireland’s current economic woes. It was announced last night that the new Marlborough Street bridge would be named after the trade unionist and 1916 veteran. She was a founder member of the Irish Women Workers’ Union, was involved in the 1913 Lockout and fought for the Irish Citizen Army during the 1916 Rising. Heroes of literature, sport, politics and science had been considered for the Marlborough Street Bridge name. Left-wing support was firmly behind Rosie Hackett and the name had previously emerged as an early favourite for the new public-transport link in Dublin city centre. It was also noted that not one of the 16 bridges between Heuston station and the East Link was named after a woman. 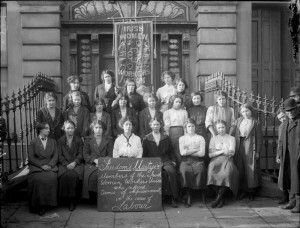 I am an active member of the Irish Women’s Worker Commemorative Committee who are currently involved in actions to remember and recount the contribution of the Women’s Union to change Irish Society particularly for women. 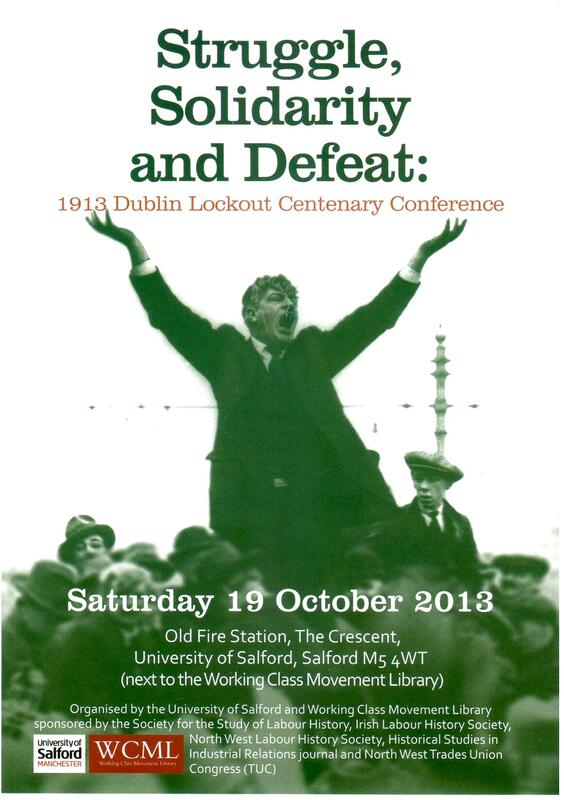 I would like to thank all of you who came here this evening to show solidarity, support and to step up the campaign to have a bridge in Dublin City in the year of the Centenary of the Lock Out, 2013 linking the present to the past and maybe at the same time to inspire some ground breaking history. For me while recognising all of the names put forward, names such as Tony Gregory who I have worked with over the years, James Connolly, Kay Mills and the Abbey are all important in their own right in what they have contributed to this city, but for me the one who fits the criteria for this bridge is Rosie Hackett who lived in Abbey Street and spent her life working in and around Liberty Hall. When I was thinking about what angle I would take on this subject knowing well the Unions still wants James Connolly, I began to think of it from a global perspective. I thought about Cuba and the image of the Cuban Revolution when the leaders Fidel Castro, Che Guvara and Antonio Maceo made their way into Havana. In the background there were women, women such as Celia Sanchez. Celia Sanchez is the missing link of the Cuban Revolution although not as well known as Fidel or Che. She played a pivotal role in launching the revolution, she was Cuba’s most wanted woman. 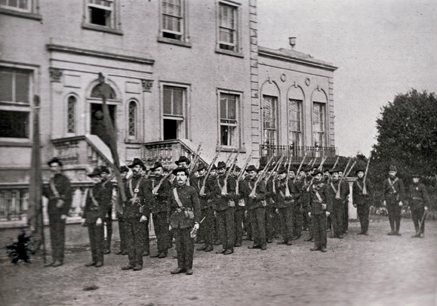 She was a central organiser of the rebel recruitment and a permanent member of the Rebel Army. She became an administrator for the new Cuban State until she died in 1980. She was an extraordinary woman who exemplified the values of the Cuban Revolution. While visible in Cuba at a global level it is Fidel and Che who are known for their contribution to the revolutions. They are the icons while women’s contributions are in the shadows of the giants. Moving forward to the Civil Rights Movement in the US, it was Rosa Parks who took the action – she later said someone had to do it – she was tired of the unjust treatment she and her people had to endure and she refused to give up her seat. The Women’s Political Council led by Jo Anne Robinson then launched the bus boycott which lasted for 13 months. Other names involved included; Claudelle Calvin, Aurella Browder, Mary Louise Smith and Susie MacDonald. However, a dreamer moved by destiny into leadership of the modern Civil Rights Movement; Martin Luther King Jnr along with Malcom X have become wider known then the women leaders who collectively were more responsible for changing the course of history. There are many women who in struggles throughout the globe whose stories could be told and should be told. But in the pyramid of power it seems that women remain on the bottom rung while men are elevated to the peak. We now have the opportunity of a small step in rectifying this here. Yes Jim Larkin and James Connolly are the icons of the Irish Labour Movement and they were great men but there were great women also one of them being Rosie Hackett a working class trade unionist and a nationalist activist and other working class women leaders. Rosie obviously had the capacity to organise and mobilise her fellow workers. The role of messenger was useful as it gave her access to the whole of the Jacobs factory. She was able to spread the message which brought out 2000 women workers in support of the Bake House men’s working conditions. No doubt there were lots of other women leaders in the workforce who had been active. They won their strike and also a pay rise. Her second strike during the Lock Out related to the three women who refused to take off their Union badges who also need to be named in history. Rosie lost her job as a result of this stand. She paid the price as some of the community workers and activists have done so recently in this country for standing up for justice and what is right. Rosie it seems to me loved the struggle she was a leader and she got deeper and deeper into the struggle helping to set up the Irish Women’s Workers Union keeping it functioning and becoming a member of the Irish Citizens Army. 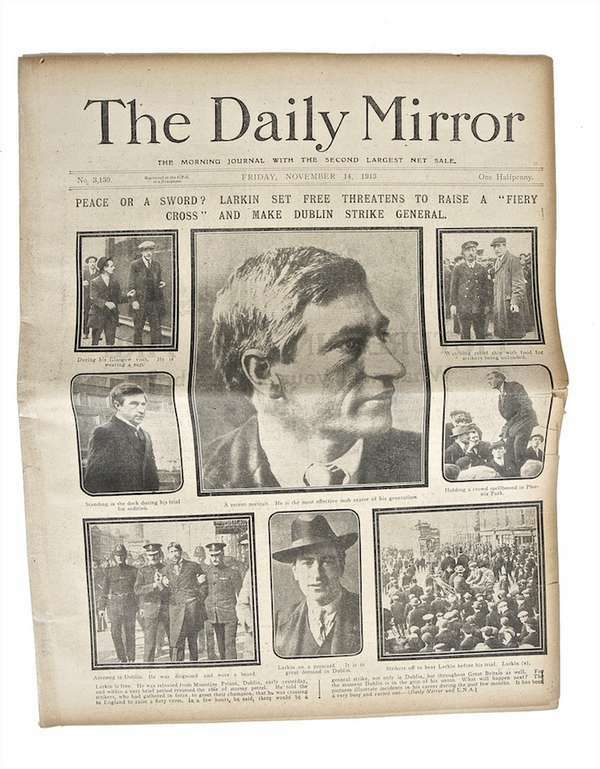 She triumphantly brought the first copy of the Irish Proclamation to James Connelly and she stood shoulder to shoulder with on the frontline in the battalion of Michael Mallon and Countess Markievicz in the Royal College of Surgeons and was held in Kilmainham Gaol. One of her Lock Out activities was to work in the soup kitchens supporting the families of the Locked Out workers. There are soup kitchens again today and like the Lock Out instead of the bosses waging war on the poor it is the policies of austerity imposing the deepest pain on our people. Like Rosie Hackett we must fight back. Some fights are worth the scars. When it comes down to Rosie’s place in history she is entitled to her place out from the shadows and into the spotlight. She should be remembered and honoured one hundred years on and illuminated for her serious political contribution to the struggle for justice and equality. She is of critical importance to the history of the Women’s movement. It is not enough to have token symbols such as Molly Malone and the Fluzy in the Jacuzzi, and the Angels pointing towards Daniel O’Connell. Women’s contribution and leadership must be recognised for exactly that. Campaigns succeed or fail based on how much action occurs. From tonight we need for SIPTU to accept that James Connolly is out of the running. There was no action James Connelly would not support for the equal footing of women with men. He certainly would not be fighting Rosie for this bridge he would actually be championing it. We need the Unions to back this campaign. We need to up the profile of the campaign. Mosquitos are more powerful then Rhinos so let us become Mosquitos and get Rosie that bridge! Let’s stay determined, stay on message, do the work, influence those that need to be influenced. The issue is not that sixteen bridges over the Liffey are named after men the issue is that women demand their rightful place in history and this city. 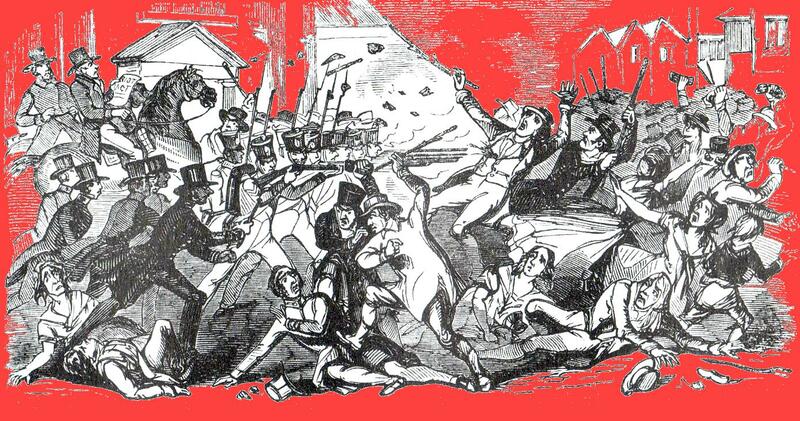 Working Class Women’s history was not on the agenda and it is still struggling to break ground. “Where there is no struggle, there is no strength”!! La Lucha Continua!